With the myriad of health-related concerns our country is currently facing, you may be wondering if now is the time to advocate for the designation of a National Nurse for Public Health? The answer is emphatically YES! A National Nurse for Public Health, as proposed by the National Nurse Act, would capitalize on the expertise of nurses in health promotion and prevention of chronic illnesses like heart disease, type 2 diabetes, stroke, and cancer to strengthen the health of the U.S. population. Why is now the time for a National Nurse? The burden of chronic illness on our society continues to grow. According to the CDC website, chronic diseases account for the majority of healthcare costs in the US. Chronic diseases are responsible for 7 of 10 deaths each year, and treating people with chronic diseases accounts for 86% of our nation's health care costs (CDC, 2017). As we engage in a continued national dialogue about how to decrease healthcare costs and improved health outcomes, enhanced chronic illness management arises as a top priority. Nurses are experts in and champions of chronic disease management. Yet, the appointment of a National Nurse would do more than improve health outcomes. 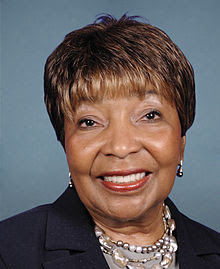 In the words of Congresswoman Eddie Bernice Johnson (TX-30) in a recent interview , regarding the National Nurse Act of 2015, Johnson stated, "What we want to do is make sure that nurses have the proper labeling, so that they can influence at that level. The more we can upgrade nurses in decision-making capacities, the more they'll be respected for what they really are and they more utilization we can make of their talents." The National Nurse Act's history of strong bipartisan backing offers another compelling reason to support a National Nurse at a time when political unity is increasingly rare. At the conclusion of the 114th Congress, The National Nurse Act boasted 5 Senate co-sponsors and 97 House co-sponsors from both sides of the aisle, with representation of over 32 different states across the nation. These past accomplishments strongly position the National Nurse Act for passage in 2017 during the 115th Congress. The designation of a National Nurse is a relevant cause behind which we can rally in unison. 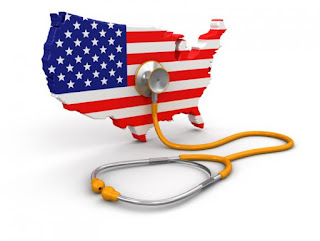 Yes, the US currently faces many pressing health policy issues. Who better to navigate these healthcare challenges than a National Nurse for Public Health? Plans are already underway for the introduction of the National Nurse Act of 2017. Stay tuned for an upcoming announcement! 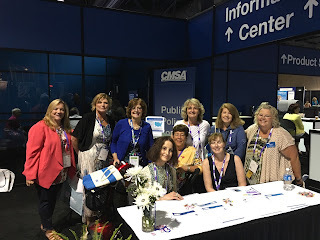 Members of the Case Management Society of America continue to prioritize passage of the National Nurse Act. A public policy booth was set up for those attending CMSA's 26th Annual Conference & Expo in Long Beach, CA to call their elected U.S. Representative and Senators to urge their support for H.R. 379/ S. 1205. Leaders reported that several hundred calls were made! 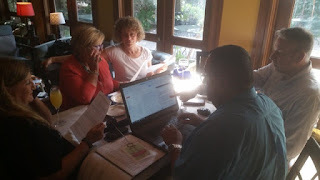 Meanwhile, down in Texas, the Board of Directors of the Alamo Chapter of CMSA strategized how to get the word out to their membership on how they too could become advocates for this legislation. All of this incredible teamwork is making a difference.